Although he is best known as a science fiction author from the golden age of pulp fiction, L. Ron Hubbard was a master of all genres. During his extraordinary career, he published not only science fiction but fantasy, air-adventure, detective thrillers, crime suspense stories, far-flung tales of adventure, sea stories, mysteries, tales of the Orient and westerns. In fact, Hubbard appears to have published as many westerns as science fiction. 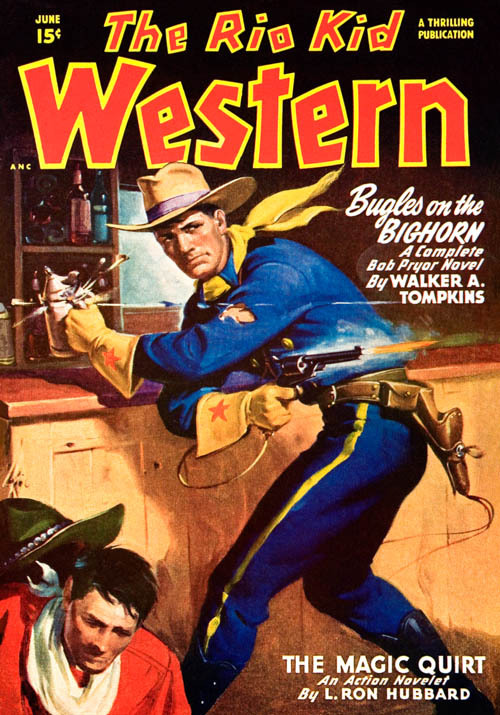 During that halcyon age from 1930 to 1950, westerns were so popular that both magazine publishers and film studios produced westerns at a breakneck pace. With such a factory-line output, the quality often suffered but the audiences never seemed to mind. 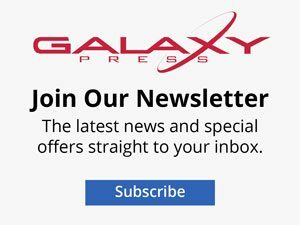 Westerns remain the quintessential American genre, wholly unique and vibrant with tales of heroism and cowardice, greed, romance, heartbreak and courage. Growing up in Montana provided Hubbard with the first-hand experience that added a tone of authenticity to his western tales. Within two years of commencing his career, he had tackled all of the primary genres and had published exciting fiction in the best magazines of the 1930s. When he turned his attention to the West, he wrote with unbridled enthusiasm; the West and its allure was something that L. Ron Hubbard understood well. 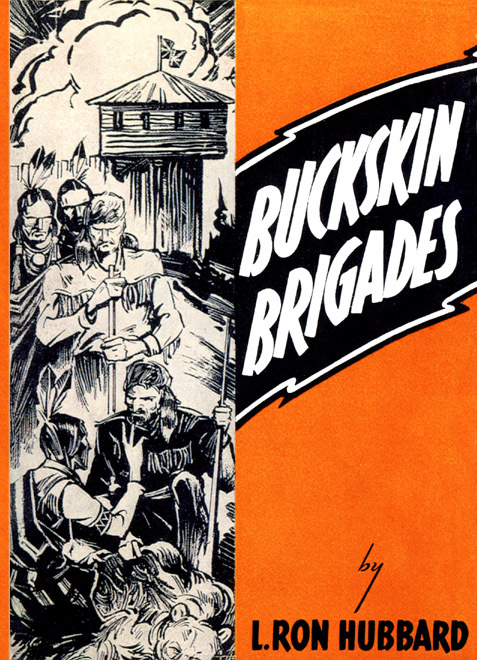 Hubbard’s first hardcover novel, Buckskin Brigades (1937), was a frontier epic that offered a fresh perspective on the plight of the American Indians. Such sympathetic portraits of Native Americans was unheard of at the time. Skillfully blending historical fact with captivating fiction, Buckskin Brigades was a landmark novel that went far in highlighting Hubbard’s status as one of the premier adventure writers of the decade. He was soon publishing westerns along with his output of far-flung exotic pulp fiction. Hubbard would continue writing westerns throughout his career. Hubbard was a “working man’s” writer. 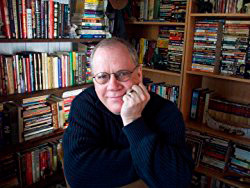 He gave readers what they wanted, and he gave it to them in such profusion and at such high quality that he adopted no less than 15 pen names. His stories were published under such aliases as Winchester Remington Colt, Rene Lafayette, Michael Keith, Ken Martin, Barry Randolph and Scott Morgan. Hubbard gave the working man the escapism he craved. 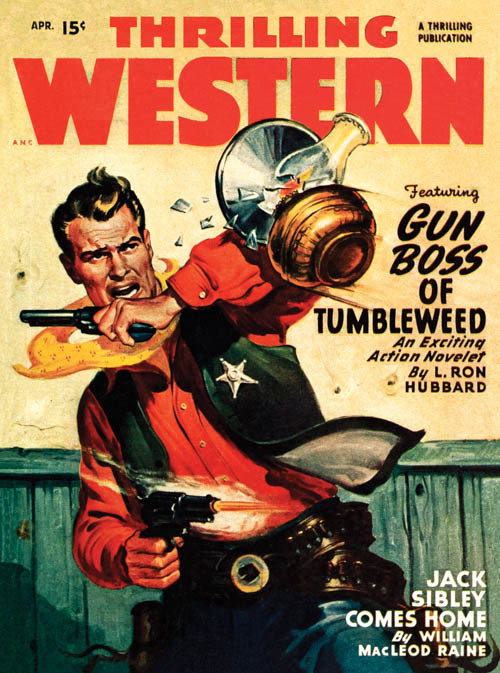 Stories such as “The Baron of Coyote River” (1937), which debuted in All Western Magazine, was typically action-packed and populated with memorable characters. Lance Gordon, on the run after avenging his father’s murder, finds himself involved with a mystery man intent on bringing to justice a notorious cattle rustler. Like most of Hubbard’s westerns, “The Baron of Coyote River” offered traditional elements (good versus evil) and unfolds briskly and with the satisfactory conclusion the editors and the public demanded. So great was Hubbard’s output that it wasn’t uncommon for his stories to appear the same month in competing magazines. 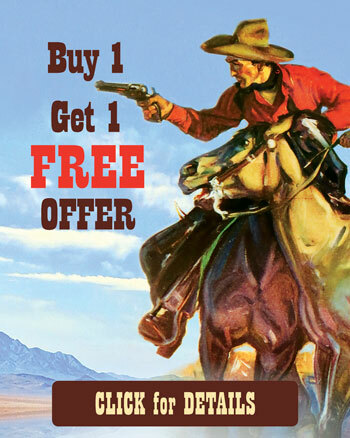 He was a regular contributor to Five Novels Monthly, All Western Magazine, Thrilling Western, Western Story, Northwest Magazine, Famous Western, Western Action, Giant Western, Western Yarns, Texas Rangers, Western Aces, Wild West Weekly and Western Romances. All of this in addition to his fiction writing for Astounding Science Fiction, Argosy, Unknown, Fantastic, Dime Adventure, Mystery Adventures, Startling Stories and many more. Key to the allure of the western pulp magazines were the colorful covers. Hubbard benefited from being published in magazines whose cover artwork was created by the best artists of the time. Renowned artists such as Norman Saunders, Arthur Mitchell, A. Leslie Ross, George Rozen and Samuel Cherry all provided bold cover paintings that enticed readers to buy the magazine. Lured by these scenes of bushwhackers, gunmen and galloping horses, readers expected the stories to match the singular beauty of the painted covers, and Hubbard delivered triumphant stories of blazing western excitement just the way readers expected. In “Cattle King for a Day” (1937, All Western Magazine) Chinook Shannon faces forgery, sabotage and murder as he tries to unravel the mystery of his grandfather’s death as the family property faces sudden foreclosure. 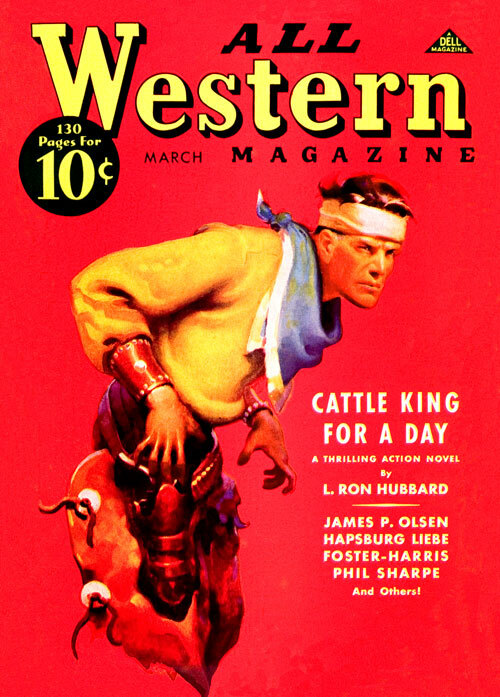 An excellent example of classic hard-boiled pulp fiction, “Cattle King for a Day” is a showcase for Hubbard’s creative talent. He rarely used convoluted sentences and generally wrote in a terse, clipped style. The blank page rolled into his typewriter was like a painter’s canvas; then Hubbard used images the way an impressionist would ration colors. His descriptions provided the scene, the exposition elevated the action and the dialogue added personality to his characters. Hubbard’s rendering of a character named Brad Kendall exemplifies his descriptive powers: “He was squat, as though some enormous weight had hit him on top of the head and battered him down. His brow was low and almost covered with black eyebrows. His eyes were snaky and small. His nose flared into enormous, hairy nostrils above a lipless grin.” Such images transformed a traditional plot into something memorable for readers who consumed pulp magazines by the millions during their heyday. In 1938, Hubbard turned in some of his best westerns: “Six-Gun Caballero” in Western Story Magazine, “Under the Diehard Brand” in Western Aces, “Death Waits at Sundown” in Western Story and “Branded Outlaw” in Five-Novels Monthly. These stories helped solidify Hubbard’s popularity. His 1940 story, “Shadows From Boot Hill” from the June issue of Wild West Weekly, was Hubbard’s only western with supernatural elements. Here the murderer Brazos picks up a second shadow after slaying a witch doctor. Combining fantasy elements in a western was unheard of at the time and “Shadows From Boot Hill” remains one of the highly sought after stories from the golden age of pulps. It was reprinted recently by Galaxy Press. 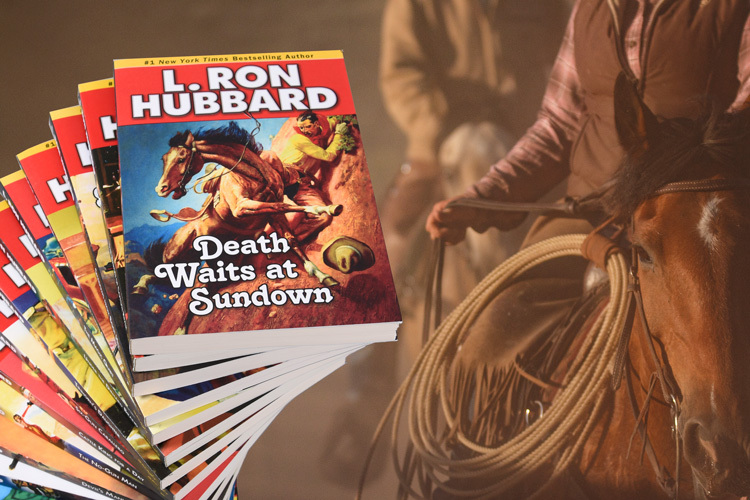 “Death Waits at Sundown” is an example of the high quality in Hubbard’s fiction. Hubbard’s writing is a treat. He paints his scenes with strong images that put the reader right into the action. “Death Waits at Sundown” takes place in that mythical west of pulp fiction where “The wind was soughing lonesomely through the scrub pines and far off an owl added his mournful dirge to the spooky scene.” Lynn Taylor is intent on clearing his brother’s name but that won’t be easy considering his brother is accused of robbery, cattle rustling and murder. The action heats up fairly quickly, and not everything is as it seems in this little gem from 1938. And readers expecting a traditional western might be surprised by a few things by the time they finish reading this story. In one of Hubbard’s final westerns, “Devil’s Manhunt” (1950, Famous Western Magazine), he tells a particularly brutal adventure story about gold miner Tim Beckdolt who is taken captive by two unscrupulous claim jumpers. While Beckdolt’s tribulations are especially grim, Hubbard layers the story with such strong characterization and imagery that it remains one of his crowning achievements in pulp fiction. Today, pristine copies of these pulp magazines command premium prices. The paper drives of World War II have resulted in a scarcity of material, and it’s not unusual to see copies sell in lots at auction for several hundred dollars. The pulps, so named because of the wood pulp paper they were printed on, were cheaply produced, and over time the paper deteriorates. As the pulp paper ages it becomes brown and brittle. The majority of pulp collections today are all experiencing a deterioration that will eventually destroy all of the surviving pulp collections. This fact alone makes “white paper” issues all the more desirable. Although the pulp magazines are aging, they are still sought after by collectors. Prices on some of these magazines can be found for as low as $20 and as high as $95 for better copies or even higher. Ebay has become a primary source for pulp collectors and it’s not unusual to see issues with Hubbard’s stories offered for sale weekly, and at wildly divergent prices. This works best for the discerning and knowledgeable collector who knows exactly what he wants. That is L. Ron Hubbard’s legacy.